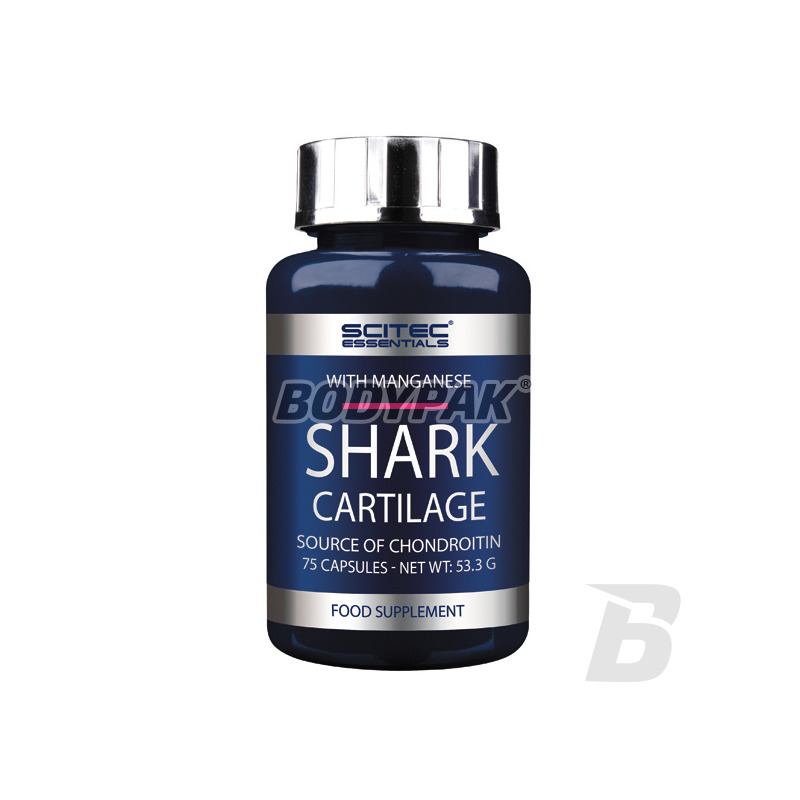 Joint HealthScitec Essentials Shark Cartilage - 60 kaps. 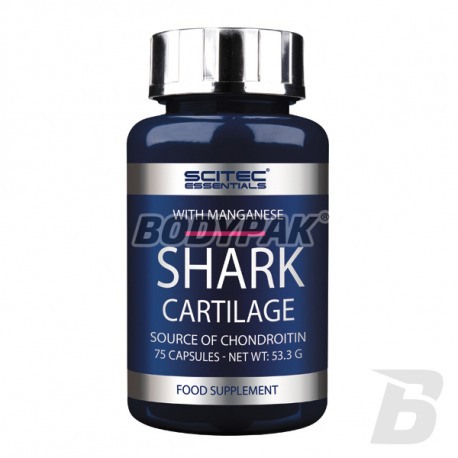 Scitec Essentials Shark Cartilage - 60 kaps. Shark cartilage contains bioactive substances identified as glikokoniugantami. Convenient form of capsules! 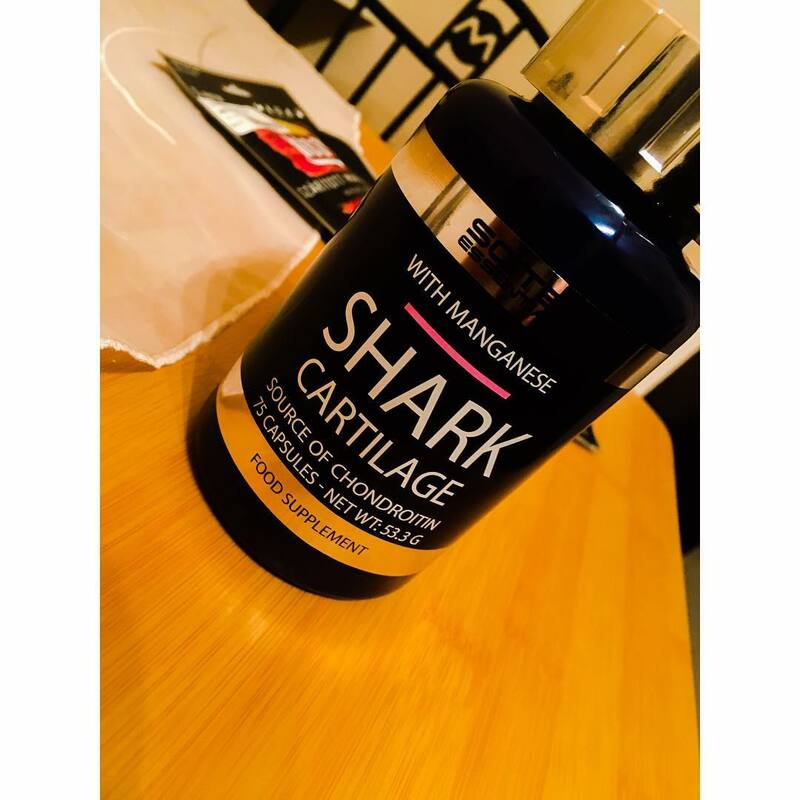 Scitec Essentials Shark Cartilage is a dietary pro-health on the basis of high quality shark cartilage contains bioactive substances identified as glikokoniugantami. These are the structural elements of the system and perform tasks protective lubricants, transport, immune, hormonal and enzymatic. Reducing glikokoniugantów eg. By strenuous physical exercise, it is the most common cause of overload degeneration of tendons, ligaments and joints. Shark cartilage supplementation reduces the incidence of these symptoms and accelerates the regeneration of the locomotor system after a hard effort. Use 5 capsules daily, preferably with meals. The product can not be used as a substitute (replacement) of a varied diet. Żadne flexity nie pomogły na moje stawy, dopiero chrząstka rekina zadziałała - bardzo dziwne, ale ważne, że w końcu jest poprawa!